You see, it’s not about sharing every unmediated detail. 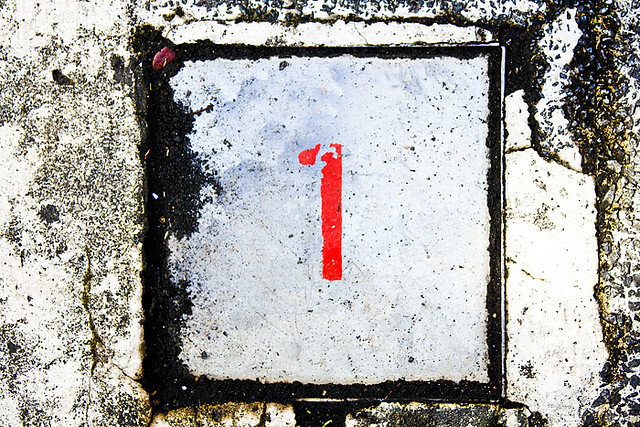 It’s about curating content – adding value by providing notes, riffs and quips. Like me, just don’t poke me! 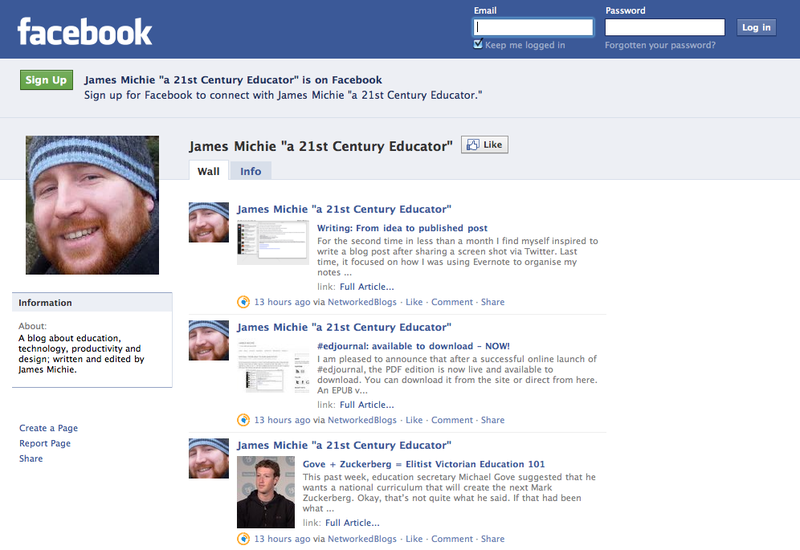 Announcement: James Michie “…a 21st Century Educator” is on Facebook! As I write this I am hearing the word hypocrite echo around my brain. I have on numerous occasions expressed my disdain for the social network, mainly out of my lack of understanding when it comes to peoples’ need to update their status 24/7 with asinine information like “sitting on the loo contemplating the meaning of life” (I swear I did not make that up). The site aggravates me, owing to the fact that the signal/noise ratio is far too skewed in the wrong direction. Just spending time accepting and rejecting friend requests irked me. I mean, surely if I have not stayed in touch with you since I left high school, do you really think I want to be your friend now? And lets not forget “poking”, the sort of behaviour you’d associate with a much younger, rather annoying sibling, validated as appropriate behaviour. Yet here I sit, writing this post, my Facebook account reactivated, having deactivated it over a year ago. So why, if I am no fan of the whole Facebook thing, would I have reactivated my account? If you spent 2010 hiding under a rock then you may have missed this but there are (over) 500 million people on Facebook. In anyone’s book that is a lot of people. This blog has grown considerably over the past 11 months and as it approaches its first birthday I see Facebook as an opportunity and nothing more. Facebook is a tool that I plan to harness in order to increase my blogs reach. Amongst that 500 million I am certain I can find a new reader to two. Reactivating my account was alarmingly simple (very convenient, the way that you’ve been hanging onto all of my personal info, Mr. Zuckerberg). Once I was back in, I set about editing my account, removing all my friends, wall posts, groups and apps. I then spent some time working through the privacy settings till I was satisfied that my profile was minimal and locked down. After a few other tweaks to the way my account works I was satisfied and ready to create a page for this blog. I don’t intend to friend anyone and will not be accepting any friend requests. Sorry to disappoint. Setting up a page for my blog was very straightforward and I have included just a few elements of key information. I then added my blog to NetworkedBlogs (recommended by Doug Belshaw) and syndicated the feed with the page I had created. So, if you are predisposed to following feeds and websites via Facebook then you can do so by checking out James Michie “…a 21st Century Educator” here. You can like the page, add it to your page favourites and share my posts. To polish off the setup I have added a follow button to my blog sidebar and Facebook share button to the bottom of posts. I am ready to leverage Facebook to my advantage. So if you are on Facebook, why not go ahead and Like me (the blog that is), but please don’t poke me! 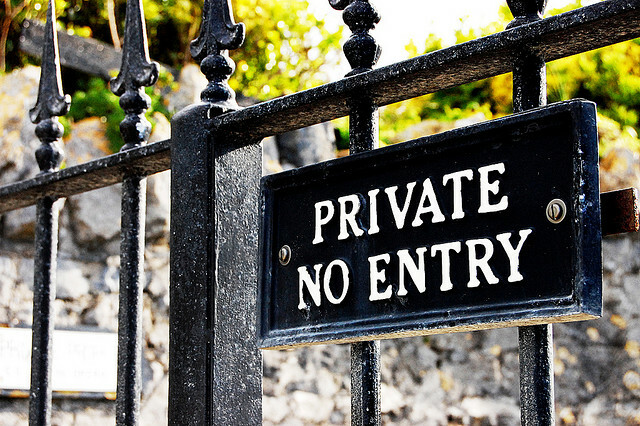 Posted on Tuesday, 8 February 2011 Sunday, 4 May 2014 Categories BloggingTags birthday, blogging, doug belshaw, facebook, hypocrisy, leverage, like, networkedblogs, page, poke, sharing, syndicationLeave a comment on Like me, just don’t poke me!